Water Meters and . 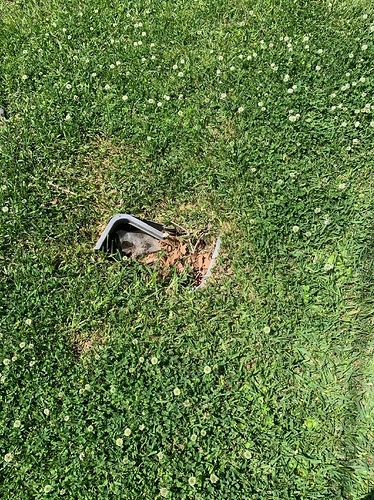 Water boxes.......... Do you replace them as periodic maintenance? Im going back and forth on converting over to a metron system for several different reasons . But wanted to see, does anyone replace meters that are old like 10 plus years old? In theory i should be able to answer my one question soon because since we are now reading the one master meter we can compare and see how much loss there is of water. I def see an advantage where you have no meter and then sub metering , makes sense. The appeal from mechanical to electronic sounds appealing but need to just get a more accurate picture if the investment makes sense to do. Gabe made good post on this a while back Old Water Meters? but would prefer to hear any feedback from an operator who doesn’t have an interest in me buying something from them ( maybe a park ? ) . And maybe this is the whole reason Frank and Dave switched over to the system because its superior? Then i guess you just have to consider that in 10 years or 20 years out , maybe you have to swap the Metrons if they fail out of warranty? 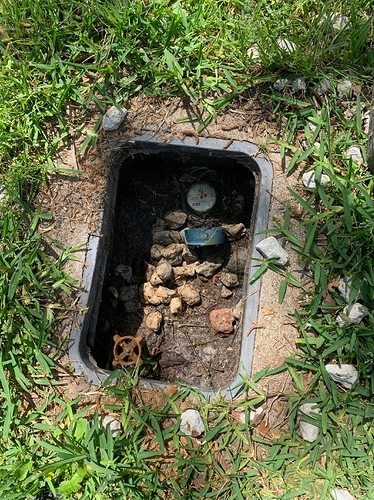 I just always had the idea in my head that water meters were more of a permanent thing but do you replace them as they fail or bulk them all out at the same time? Also kind of related unrelated, what’s the best water box system? Sometimes they are too low , all chewed up. Sometimes they are concrete. Sometimes they have concrete surround. Then the tops get chewed up my mowers. I have to see if you can get the right top size. It seems like if there was an “extra tall” plastic meter box this would alleviate some issues. So people cant go over with a mower and need to edge around it. Thats what it seems to be on the newer installs we have done with a plumber but on the existing ones not sure. If anyone has any comments or feedback on what they have found and like would greatly appreciate it. 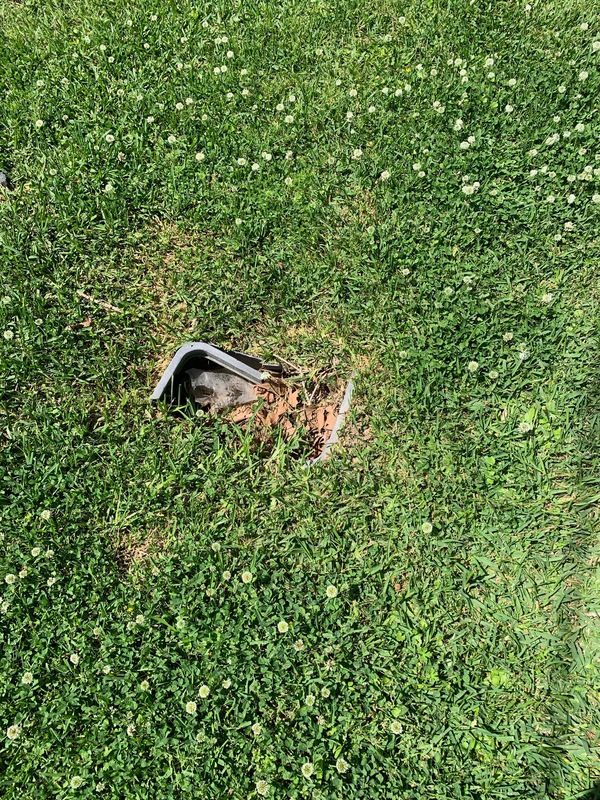 The purpose of meters is 2 fold billing customers and tracking leaks right? Both of these assume accuracy of meter so I will give my thoughts on meter accuracy. Meters come validated from factory with certain accuracy % under factory conditions and factory conditions are never field conditions. All meters require a certain amount of straight pipe before and after meter per manufacturer’s recommendations. This straight pipe reduces turbulence in the water creating a accurate reading. So no 90s no valves, no 45s in this straight pipe zone. Turbine and paddle wheel meters generally 10x pipe diameter before meter and 7x pipe after this is what most of the city main meters are as well as residential meters. So on a 3/4 line that means a minimum of 7.5 inches on each side of meter should be straight pipe to get factory accuracy. 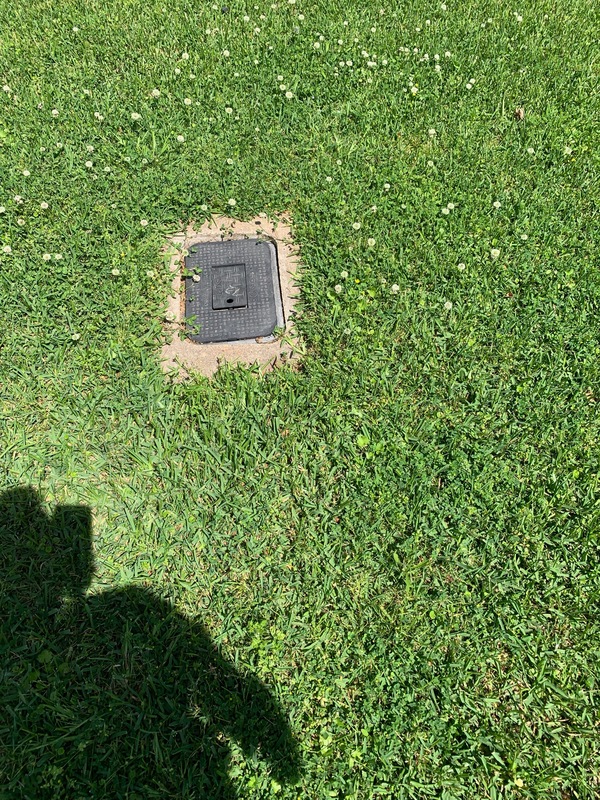 3" master needs 30" in front of meter but where is the shut off from meter and where is the first 90? Look in any residential meter box and you will almost always see a shut off or 90 in this straight pipe zone. My point is when you compare master meter to all residential meters dont assume you have a leak just because you have a 10% difference. Leak detection is based on a radical departure from “norm”. Customer billing is based on usage from month to month and generally a newer meter is more accurate than an old meter (15 plus years) but it is all realtive. @PhillipMerrill Very happy to see you chimed in . I did not know this and this is very good info, thanks for taking the time to post. Thanks I guess my main point is dont go buy new meters because you are showing a 10 to 15% difference between master and all combined residential meters. This is an interesting topic. Based on my (limited) experience though, Gabe’s mention of old meters capturing only 30-40% is likely an outlier, and not the norm. None of my parks have close to that kind of discrepancy between the master and unit meters in aggregate. I’ve never done it, but if you’re in a large metro there is likely a company that can come out and test some of your water meters for accuracy. I would do that long before I considered junking what otherwise seem like meters that are working well. My personal plan: if I already have old ‘dumb’ meters that are working installed at a park keep them, and if I ever need to submeter a park from scratch in the future try out Metron and see how it goes. Some of my managers don’t mind doing the reading of our dumb meters at all, as it gives them an excuse once a month to do a very thorough walkthrough of the entire park. I have actually talked with my plumbing company on this topic as in TX the public utility commission says they can have their meter tested etc and seeing if we could do this if this comes up. They had never done it but they said they typically just do the 5 gallon bucket test. They will run the 5 gallon bucket through and use that as a metric. Not exact science but a quick way to get a general overview that an average person could do. If I were making that decision, I would ask what you are trying to achieve by making the conversion. A few points to consider are 1) are you having trouble getting timely reads? 2) are you at risk of frequent leaks making hourly reads helpful? 3) what is the cost difference between your current and proposed solution? The issue with getting reads on a non-electronic system is that somebody has to walk the park and do it. We had trouble motivating our manager at one park to get it done consistently, and sometimes he could not do it due to snowfall covering the unit. We switched to WiFi, and these two problems went away. The talent in our corporate office is stronger than in the park office, so we shifted the burden of water analytics to corporate. If you are at risk of frequent leaks, then electronic presents an advantage. This is particular important in freezing climates where you can loose a lot of money fast if a leak goes undetected. Loss comes from water loss itself, but we have lost tenant owned homes due to leaks. Tenants can spring a leak when away for the weekend, and they return to find 15,000 gallons spilled across the living room. The home turns to mold and they abandon it leaving you to find a new home, a new tenant and pay $2500 in demolition costs. Smart meters can alert you of leaks before the situation gets out of control. Last is cost. If you or your manager can read meters consistently and timely, then it is nice to not have to pay a monthly meter rental fee. I personally would prefer to have a manager take less responsibility and have the meter read itself. We have 1 park that was metered on equipment at least 10 or 15 years old, and we switched to WiFi meters. Every other park we own is being switched too except for the one that has the city providing and reading the meter. My experience has been the cost of the meter service is a small price in relation to the financial damage that can result. I think my meters only change/record every 100 gallons of use. Do your meters really capture every gallon? Great question , i don’t know , they are honest and reputable so maybe i misunderstood them. I have looked at a few and pretty much just checked to see if it was spinning and registering reads ( not checking for accuracy. I thought it was per 10 gallons though and maybe they ran through two of those. Sorry if i provided mis info here but i personally haven’t checked it so going off what they said. After reading more water meter posts and thinking a little bit there may be a difference between how many gallons it takes for the meter under your home to change vs. the remote read on the outside of the home. I know the remote read on the outside of my homes measures in 100’s of gallons. The actual meter under the home could be 10’s of gallons like you said. If i knew everything i wouldn’t spend half my time absorbing knowledge here on the forum Thanks for the info . Remote meter readers (referred to as totalers) typically work via a pulse produced from the meter. The meter can produce 1 pulse per 1 gallon or as more typical 10 gallons per pulse. ( also meters can be 1:100 or 1 :1000 gallons). The remote reads in either 1, nearest 10 gallons, 100 gallons, or 1000 gallons. The remote can have fixed zero (s) on the remote or zeros have to be added to the reading. The meter can skip a pulse or on rare occasion send numerous pulses, which will cause the remote to be out of sink with the actual reading at the meter (the register face). The remote readers need to be synchronized on a annual or at least bi-annual bases to remain accurate. An encoded meter which transmits the actual dials or digital read out at the meter is more accurate. There are several options available.